Discover today’s romance novels: For Women, About Women, By Women. 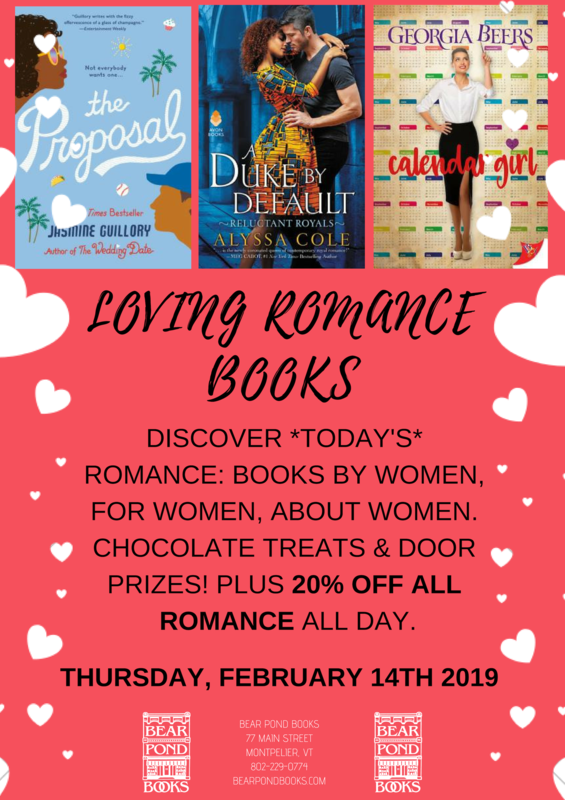 On Valentine’s Day we’ll be celebrating the romance novel throughout the day. No longer simply the bodice-rippers of yesterday, 2019 romances are about diverse, empowered women who find love but don’t have to wait for it to come calling. All our new romance novels will be 20% off and we’ll help find the right book for you. Speak with a bookseller to find a book, or write your own Customer Pick to share! And, of course, there will be chocolate!